Record Description Two shrubs at top edge of sheer cliff. Inaccessible, but visible from Downholme Bridge only. 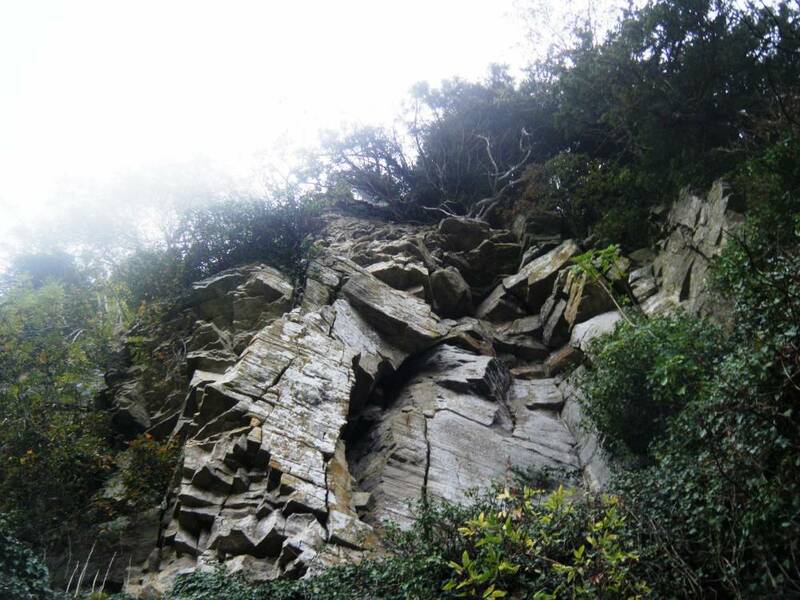 Do not attempt to approach the edge of this cliff! Leaves collected at base of cliff. If confirmed,possibly the first and only record of this species in Swaledale. Image 1 Description White Scar. 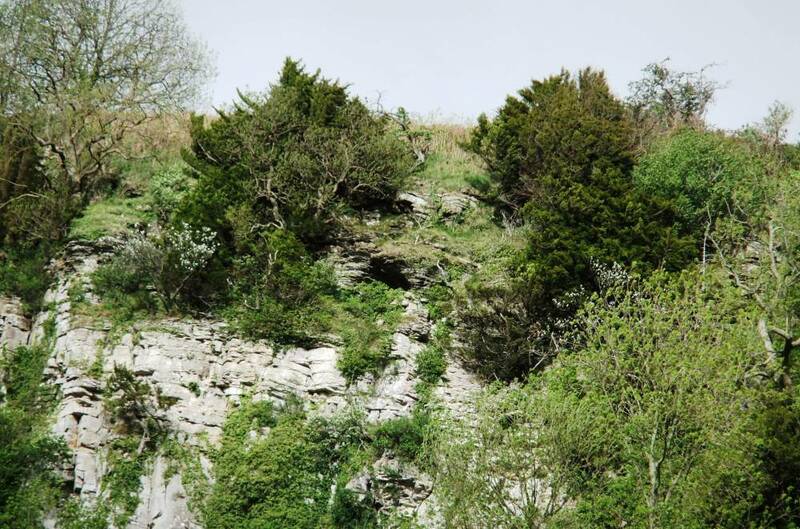 The distinctive foliage of two whitebeams can be seen at the top of the cliff. Image 2 Description White Scar. The Whitebeams grow at the top of this cliff. Image 3 Description White Scar. 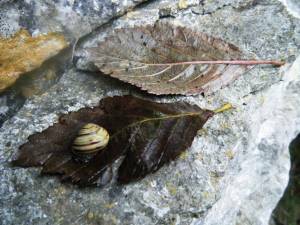 Leaves of Whitebeam with the snail Cepaea nemoralis.